← Elephant Pat . . . Shiva’s Wedding Anniversary. . Wind Flower. . . . 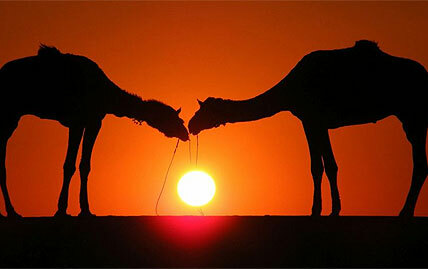 Nothing says India more than the continuous sunshine and camels, unless it is the relentless heat! After my years in Arizona , we would say something is “Hot as Arizona!”, but now it is “Hot as India!” It is understandable that when monsoons start in about a month, that the Indian people dance in the streets in the refreshing rain. We had a taste of monsoons back on March 1st. I remember that morning because that was the day I was filmed in the commercial. Rain came down in buckets full, and it was as if there were a billion buckets full of water being poured all at once. Afterwards water stood in the streets for days as there are no drains in the side of the streets. So we did our touring yesterday, and when we got back we stayed in the room with the AC cranked up not even venturing out to eat!We did go for breakfast this morning but plan nothing much for the day. Dbell is meeting with the students as they plan their final presentation just under two weeks from now! Tomorrow morning early will be a special event. We are visiting a slum directly across from the Gandhi Ashram. Our guide is a young architect who has worked for and with the slum and the Assam. Bye bye from a cat under a hot tin roof in Amdavad, India! This entry was posted in Architecture, India, Travel, Uncategorized and tagged 111 F, 44C., Amdavad, Amedavad, architect, architecture students, blogging, Gandhi Ashram, heat, monsoons, slum, sun, touring, Travel in India. Bookmark the permalink. 4 Responses to Second Day of 111 F. (44 C) with More Days to Come !